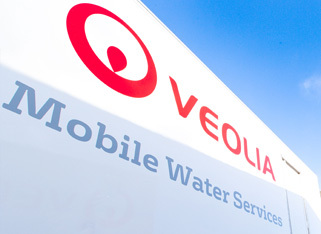 The Veolia Environmental Services Energy Recovery Facility (ERF) at North Quay, Newhaven, UK handles 210,000 tonnes per year of residual municipal solid waste and street cleansing waste from the East Sussex area. Residual wastes are those that are not reused, composted or recycled. These wastes are incinerated to fuel two 50bar water tube boilers to generate steam which drives a turbine generating 19MW of electricity, most of which is exported to the grid. The process significantly reduces the volume of waste disposed of to landfill and also allows some of its residue to be recovered or recycled. The high pressure boilers operated at 43.7m3/h steam flow and required the water treatment plant to have an operational capability of up to 4.5m3/h of high purity water. Demineralised water was produced on site by an ion exchange plant supplied by the construction contractor, but during a control system modification the plant was unable to meet normal output quantity and quality. The demineralised water storage was identified as being insufficient to meet the operational requirements for the two days it would take to make the modifications.